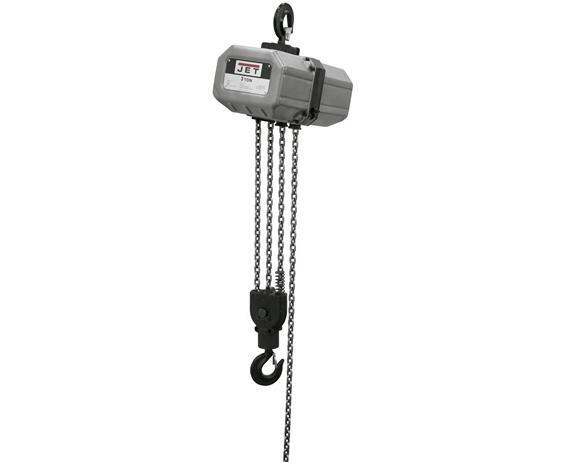 JET® Single Speed Electric Chain Hoists | Carolina Packaging & Supply, Inc. Overload protection standard on all models. Thermal overload protection protects motor from overheating. DC electromagnetic brake holds load if power is interrupted. 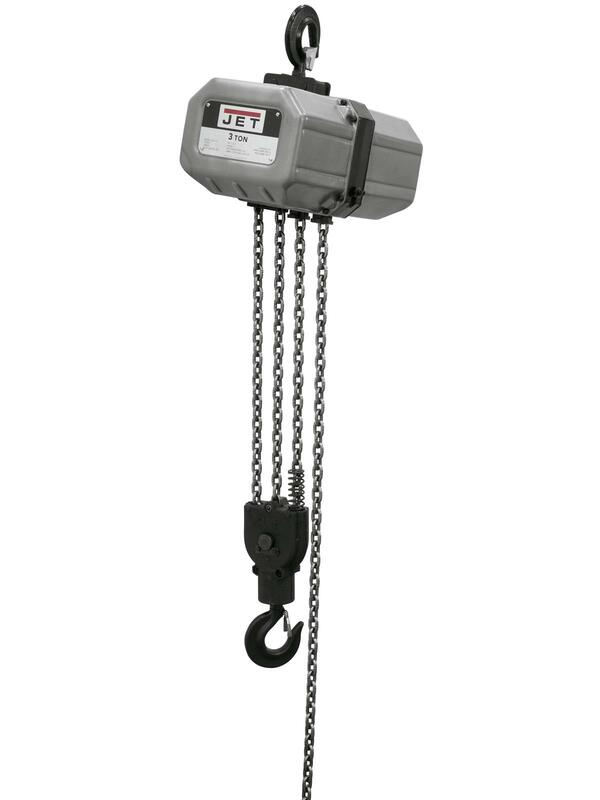 Maintenance-free, sealed oil-bath gear train. Fully enclosed, all steel construction. FOB Shipping Point. 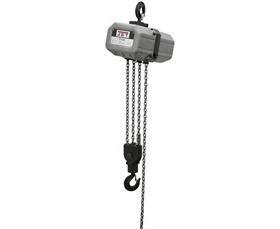 All hoists complete with 2-button control cord, 6' power cord, safety hooks and heavy-duty chain container. Note: Single phase units are prewired 230V; Three phase units are prewired 460V.